Our history stretches way back, to when time was marked by the passing of the seasons, and the farmworkers of the countryside of Alghero had nothing to rely on but the soil and their own ingenuity. It is a story that speaks of the ability to trust one another, and of the desire to build something great, without forgetting how much beauty and how much value are hidden away in what surrounds us: endless plains facing out to sea, sheltered by a cove between the Gulf of Alghero and the Bay of Porto Conte. These are fortunate lands, caressed by the wind and kissed by the sun. It is a story that speaks of the precious lessons learned through daily toil. This story, our story, starts very long ago and lasts all the way to today. It all began in 1946, in the Nurra area, which had been reclaimed and given to the farmworkers following the Agrarian Reform that was implemented in Sardinia in the immediate post-war period. The locals were blessed with skilled, courageous hands that had the capacity to capture the soul of a part of the island that seems to have been designed for winemaking. And so, in 1959, one hundred of them decided to enter into a co-operative and to found the Cantina Santa Maria la Palma (Santa Maria la Palma Winery). Today, past and future are being combined seamlessly through the new technologies deployed in every project put together by the Winery, which can leverage a tradition that has always married innovation to love for the local soil. 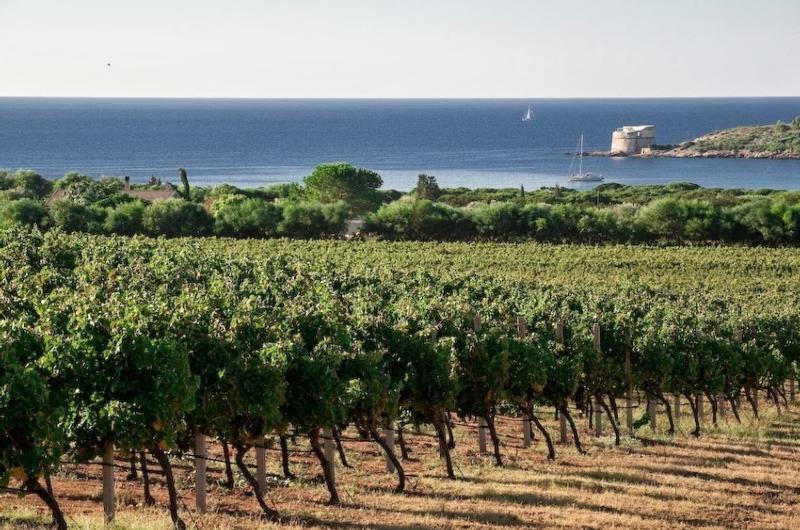 700 hectares of land on the estate are under vine, giving rise to a wealth of highly nuanced Sardinian wines, all made with the same passion and dedication as always, while also taking advantage of everything that state-of-the-art technology has to offer. The dedication to quality is the thread that runs throughout our history: selecting methods and techniques to produce the finest grapes, enhancing and protecting the soil – all with a view to exceeding our consumers' expectations and to being worthy inheritors of this noble tradition that we are carrying forward.